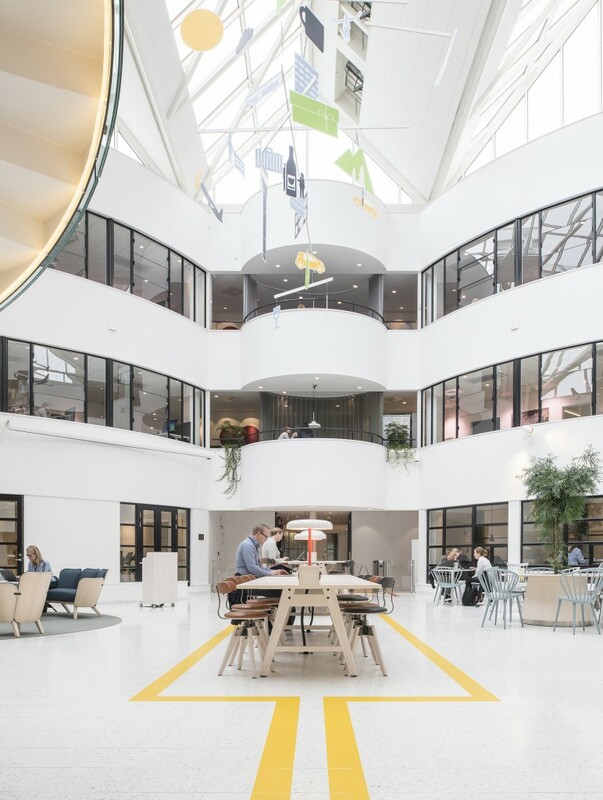 Telia Company’s values ‘Dare, Care and Simplify’, together with a focus on sustainability and the concept Spectrum/Speed of Light, developed by Tengbom Arkitekter, have provided continuity throughout this office project. 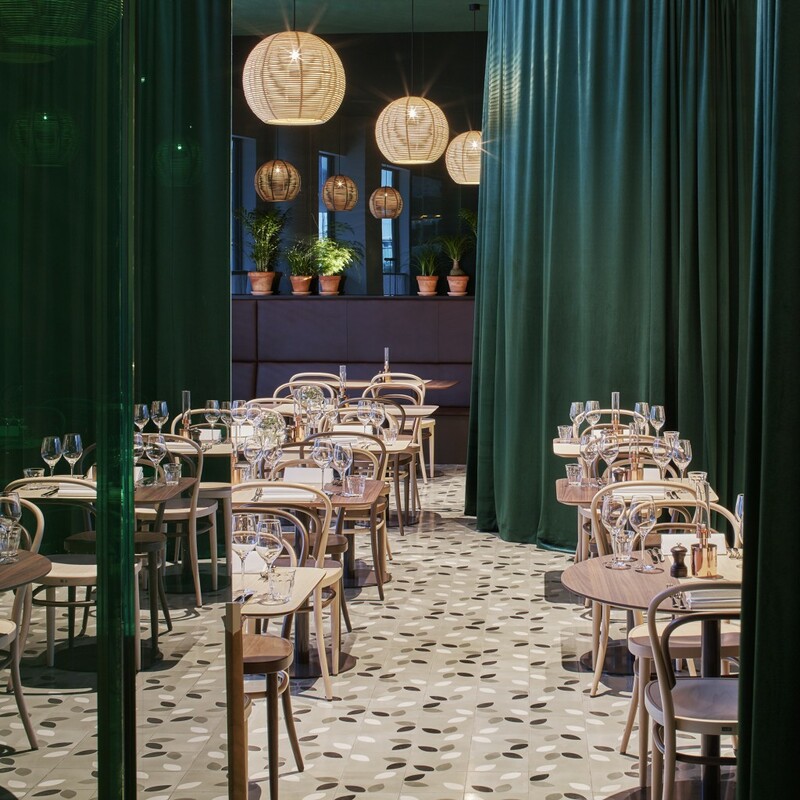 The interior design reflects the brand and the company’s digital operations. A sense of speed and action that invites movement. 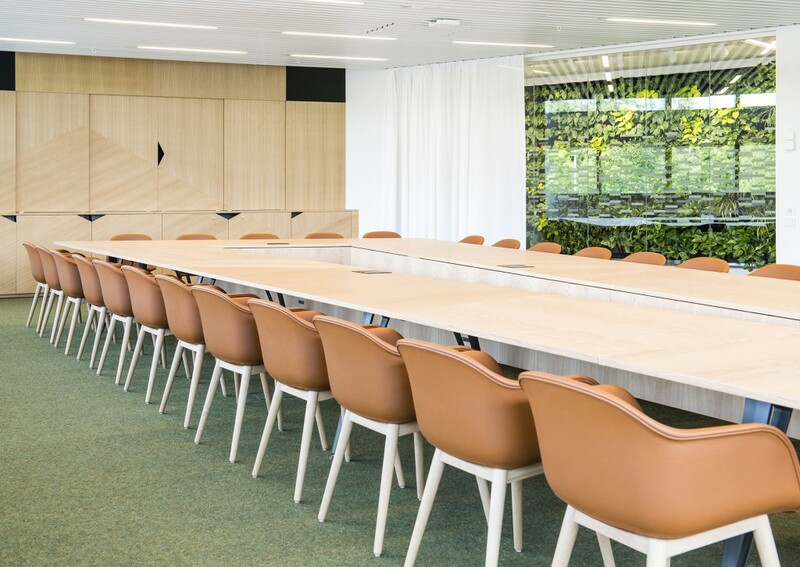 A space for cooperation, inspiration and energy has been created. 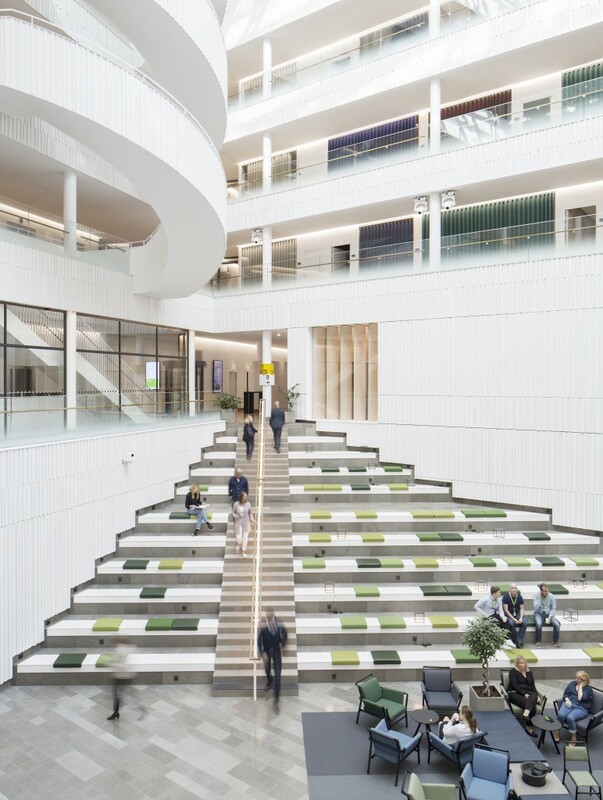 Four of the office’s five buildings come together to form three atriums that open up the premises and provide light and space. 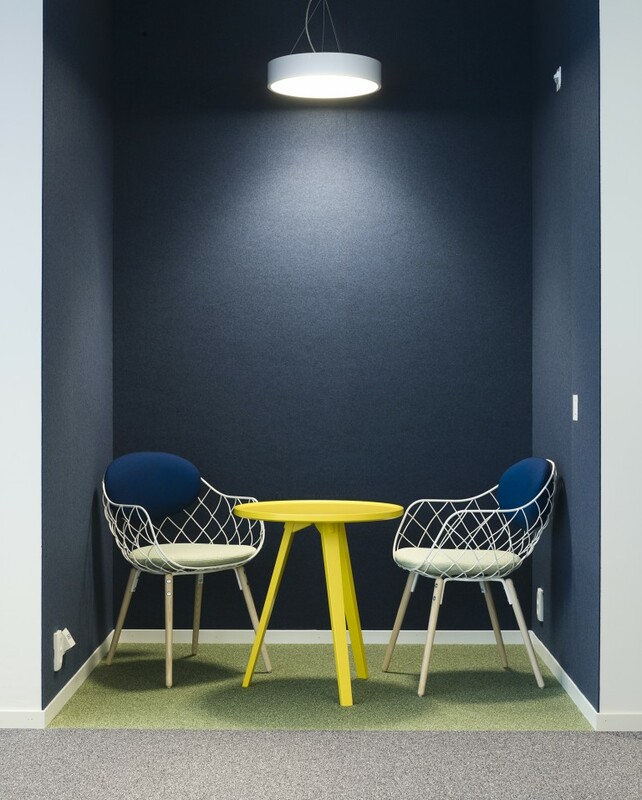 Instead of dark corridors, colleagues are visible and accessible, creating the right conditions for meetings and communication. 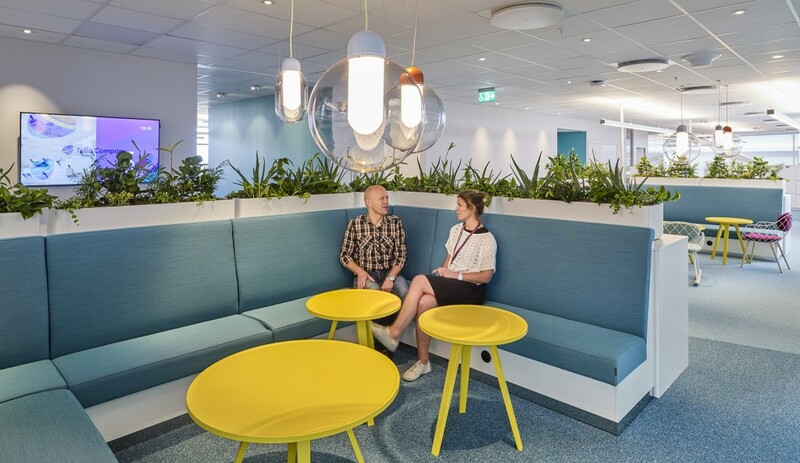 Telia Company has been employing activity-based working methods for several years and has applied its accumulated experience to the design of the new premises. 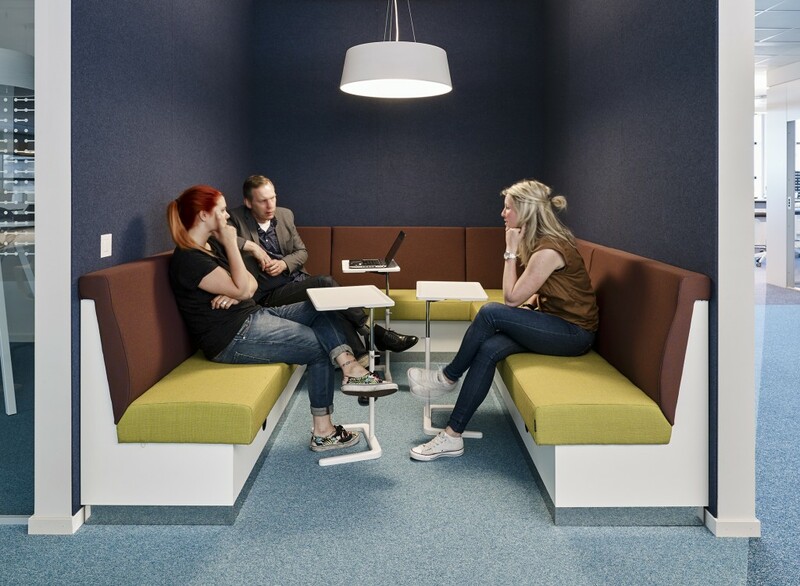 “Compared with other activity-based offices with small scattered home zones, we have a much larger area for storage, where you can sit together with a number of people. 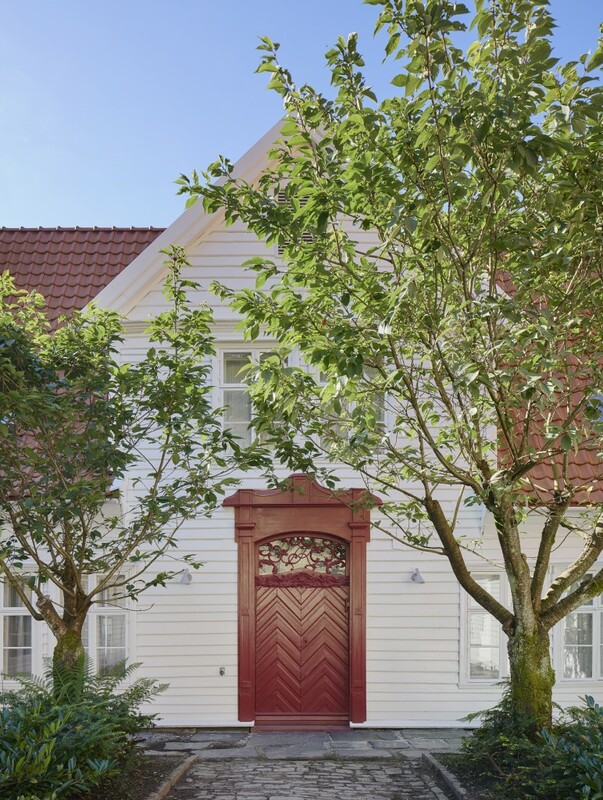 This makes a positive contribution when you need to be more mobile and flexible,” says Tommy Nordström, from Group Real Estate at Telia Company. 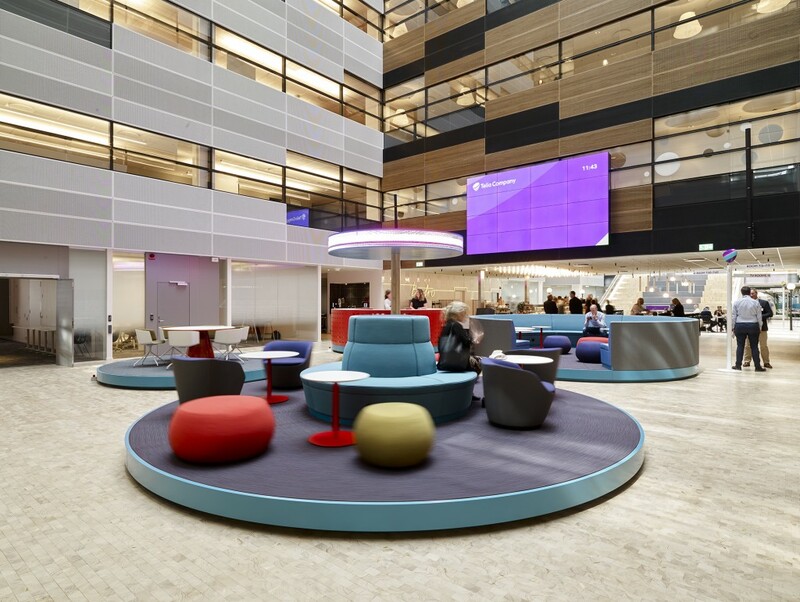 In addition to impressive installations with interactive rain that projects images, specially-constructed light spheres that move up and down between floors, graffiti and a green roof, storage represents an interesting element of the interior design at Telia Company. 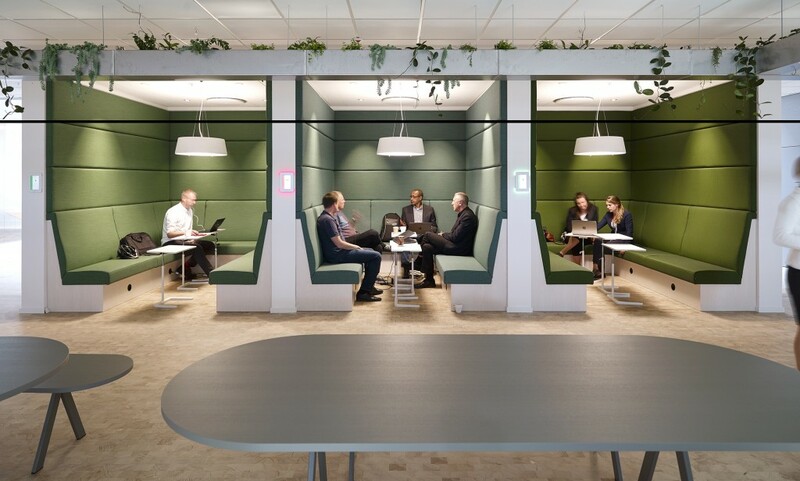 An activity-based office for 3,600 employees requires a multitude of smart storage solutions. 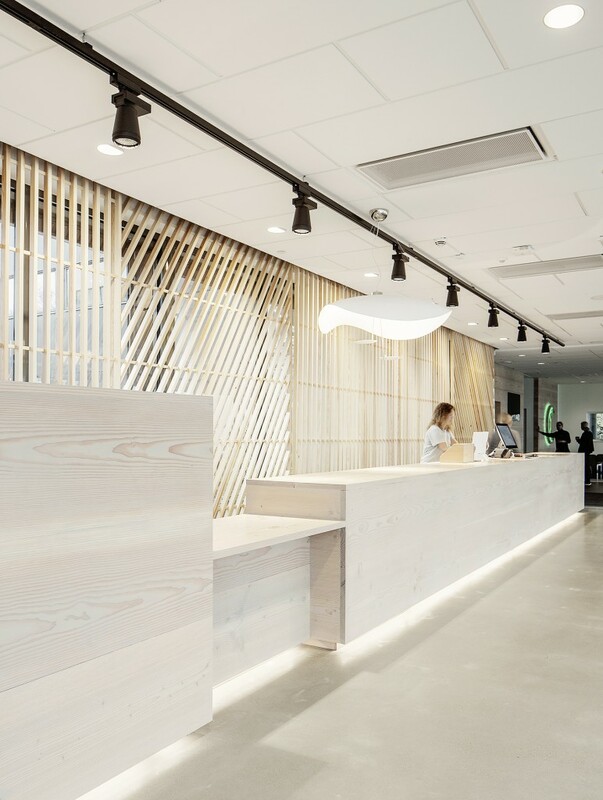 At Telia Company, Input interior employed a network-based storage system. 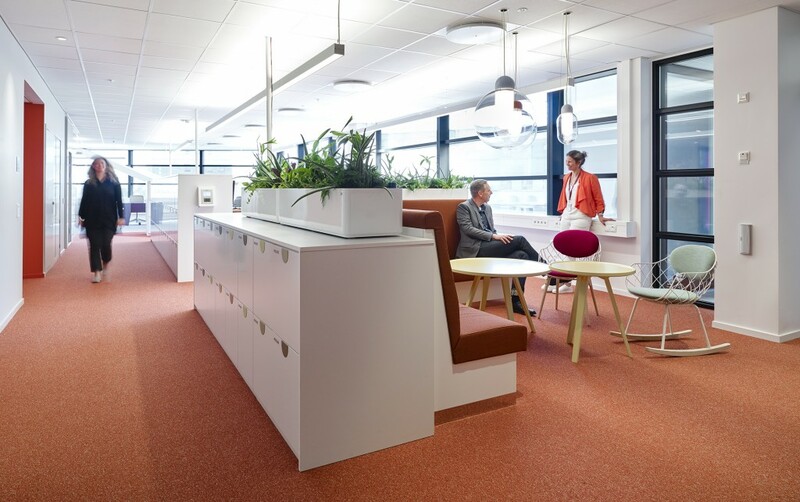 Cupboards have been linked to users’ personal ID badges and have been assigned a number of interactive functions that facilitate management. 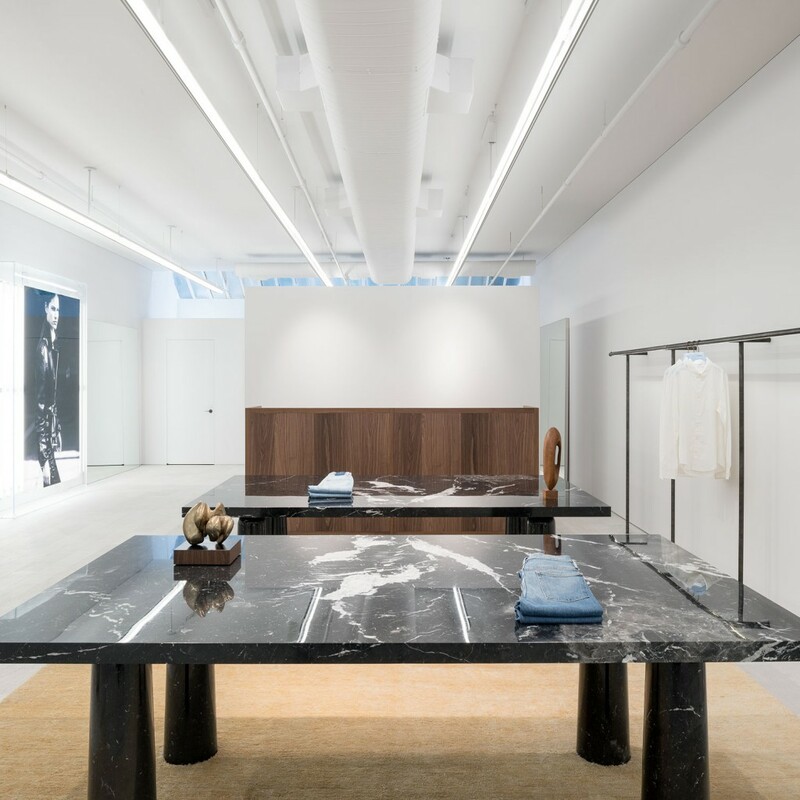 At the request of the customer, the system was also integrated into products where it was not initially considered, such as cloakroom storage. 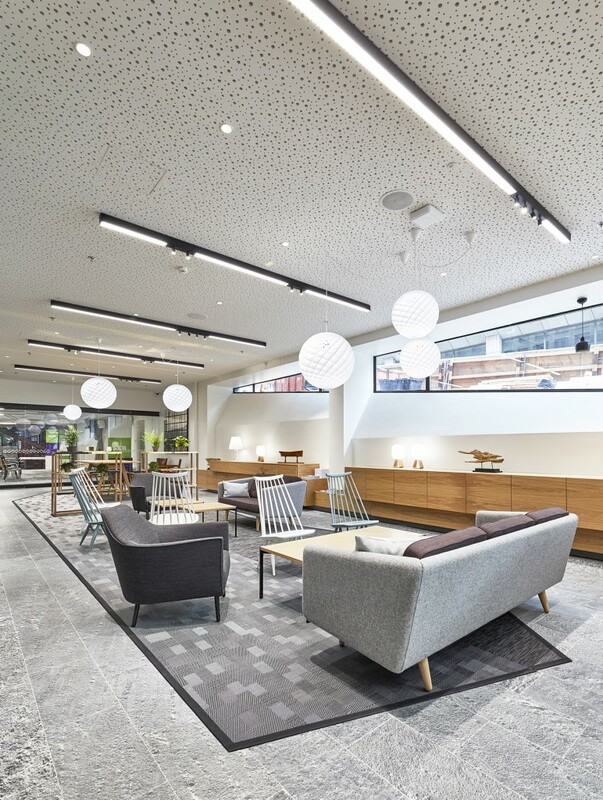 Input interior has delivered 3,600 workstations for this project as well as all fixtures and furnishings for a total of 11 floors. 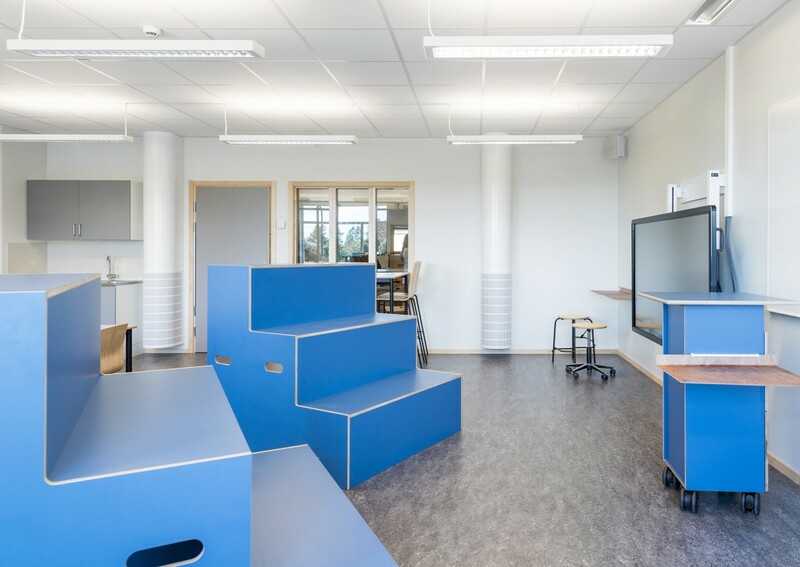 In order to facilitate continued management, maintenance and utilisation of the interior design in this project, each item of furniture was also provided with a unique RFID label to enable traceability.